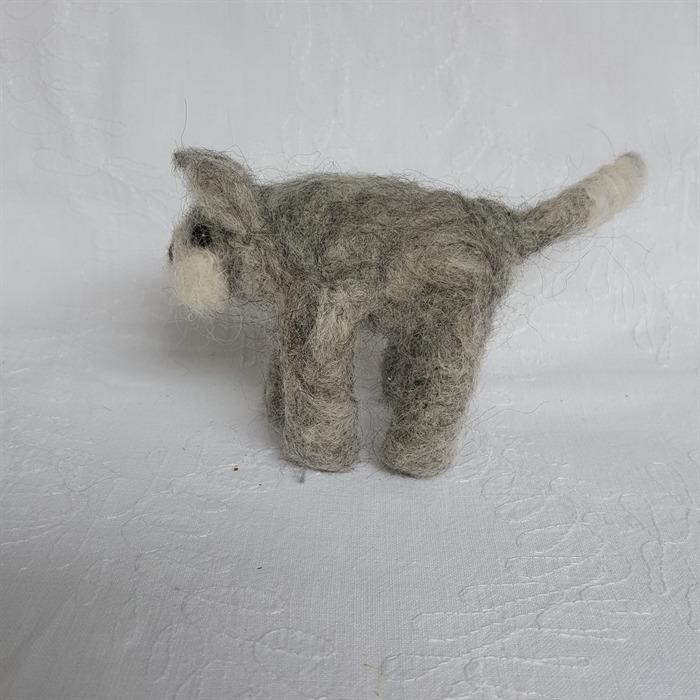 A cute grey and white cat needle felted from the natural undyed fibre of my alpacas. Perfect as a gift for someone who loves handmade, organic items. 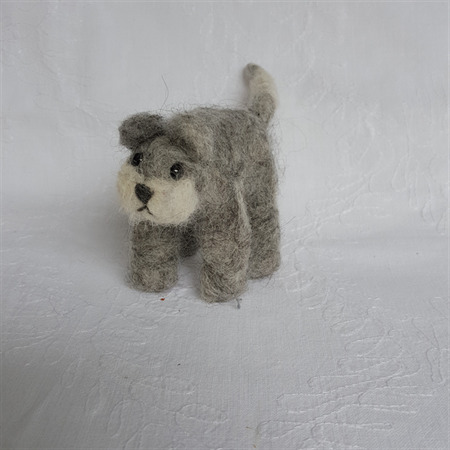 He is 9cm tall and travels in his own little acrylic display box.